NASCAR tested a handful of changes that they may implement in 2015. 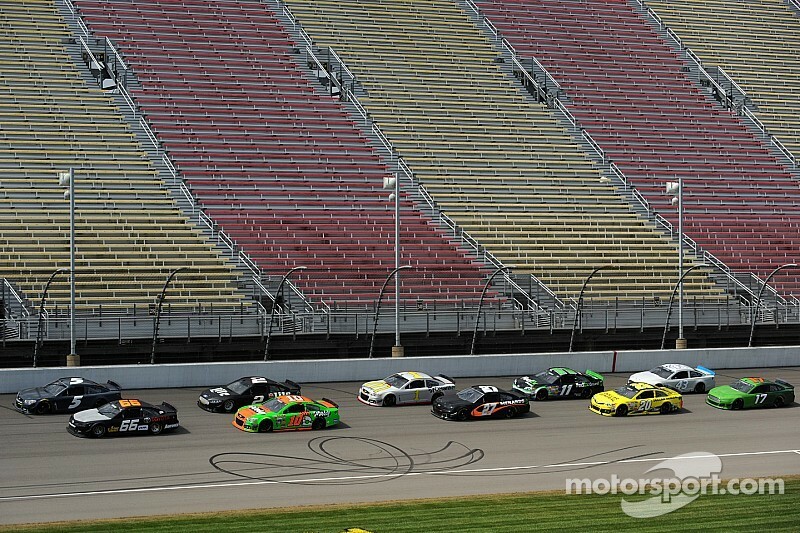 I'd like to talk about a recent official NASCAR test day at Michigan International Speedway. No wait, don't click off just yet. I'm not completely mad. I know an entire article on testing sounds about as entertaining as a mug of cold tea. And Rusty Wallace didn't even guest at this test either, unlike back in Preseason Thunder. But this test in particular was hugely significant, and was designed by NASCAR as a fact finding mission to work out the best direction to go in with the 2015 rules package and beyond. And the result was that the right direction was found, even if it wasn't the direction they anticipated. 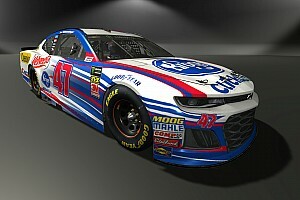 NASCAR's own proposed 'prime' package, with ridiculous DTM-style dive planes and an even larger spoiler, received a lukewarm response from the drivers involved. Then NASCAR's grand plan to cut horsepower was tested, and the drivers, in the polite words of Bob Dillner on NASCAR RaceHub, 'didn't like it so much'. And frankly, I agree; single-file strung-out racing 2 laps into a run appeals to me less than a frontal lobotomy conducted with rusty hammers. Then a low-downforce package was tested, the polar opposite of NASCAR's prime package. However, this was the one the drivers wanted - and the rave reviews that followed said it all. The package that NASCAR seemed to throw together just to stop the drivers moaning was the one which received unanimous praise. Twitter lit up with positive tweets from crew chiefs and spotters, and drivers spoke enthusiastically in the days afterward about how much fun the cars were to drive, and how much easier they were to run side-by-side, particularly combined with a stickier tire from Goodyear. And for a test conducted primarily to find a package that increases side-by-side racing, this must've felt like mana from Heaven. Sounds weird, right? NASCAR of all sports is suffering a dearth of side-by-side racing? That's a bit like soccer suffering a dearth of shots on goal. Or the BTCC suffering a dearth of controversial incidents. But it's an unescapable fact that the sport built on close pack action and the mantra 'rubbin' is racing'' hasn't had much of this for several years now, outside of plate racing and occasional moments of lunacy like AJ Allmendinger and Marcos Ambrose at Watkins Glen a few weeks back. The reason appeared simple. Since the introduction of the COT in 2007, NASCAR race cars have generally relied a lot more on aerodynamic grip and downforce to race. And whilst this is fantastic for top speed figures and Larry McReynolds shouting 'NEW TRACK RECORD!' in every qualifying session, this isn't so good for close racing. 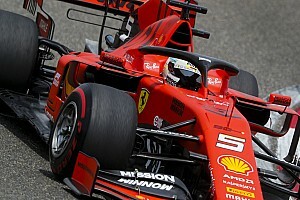 Without going too technical, if a car relies on air flowing over it to create downforce and therefore turn corners, another car disrupting that airflow will ruin the handling in one fell swoop. Ever wondered why, on a restart, the leader can often pull out a huge lead within a handful of laps, no matter who they are? That's the power of clean air. Conversely, how many times have you watched a car go for a pass on the inside of a car and suddenly pull up as the other car streaks away? That'll be the power of dirty/interrupted air. All racecars rely on downforce to a certain extent. F1 cars, Indycars, and prototype sportscars are designed with maximum aerodynamic efficiency in mind. But crucially, stock cars have never been aero-hungry racecars. Let's compare the old pre-COT racecar (now known as the Gen-4) to today's Gen-6. No grass-eating splitter, no shark fin, a smaller spoiler, and a ridiculously high ride height compared to today's standards. Low downforce, high horsepower. Not great for grip and laptimes, but put this car in a big pack and it came alive. 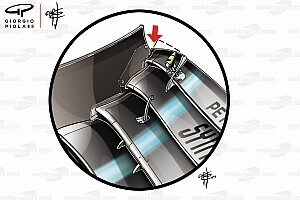 The impact of airflow was much less, and consequently, close racing could be achieved lap after lap after lap. Even if the car took a few rubs, bashes and a crash or two, it didn't matter - stick some tape on the bent-up bodywork and away you go. With less aero meant less windtunnel testing, lower running costs, and generally a more competitive field. 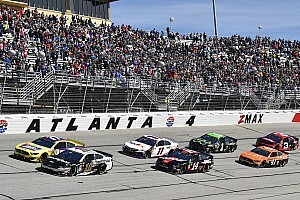 It may be hard to believe, but ten years ago smaller teams would regularly achieve top-10s and the odd victory on tracks that weren't Talladega. Hard to believe, right? When you look at this test and the conclusions drawn from it, the low-downforce package makes perfect sense. 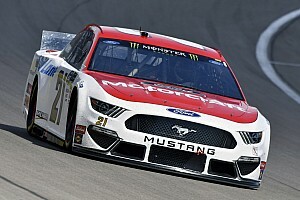 Brad Keselowski noted that it felt like 'driving a race car again' - actually getting up on the wheel and manhandling a car through the corners, rather than hanging on for dear life and hoping the oxygen lifeline of clean air doesn't get disrupted. Drivers spoke eagerly of being able to pick different lines to suit the handling of their car, and being able to run 2-3 wide effortlessly. Interestingly top speeds were actually higher - as high as 223mph - but corner speeds were as predicted much slower. The general consensus seemed to be 'not perfect, but a positive start'. Now the ball is firmly in NASCAR's court. And it seems to me that the evidence cannot be ignored - it is time to go back to the future. Low downforce + high horsepower = great NASCAR racing. I'm terrible at math, and even I can understand that.